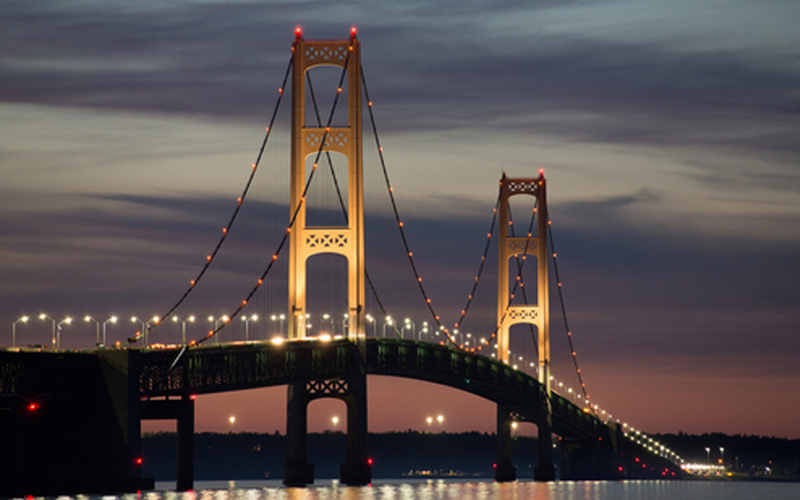 The Michigan legislature December 19 approved a ballot measure for May 2015 that would result in an annual increase of $1.2 billion for highway and bridge investment and $112 million for transit and rail improvements. The ballot measure would eliminate the current sales tax on motor fuels, which provides revenue for the School Aid Fund and local governments, and supplement those programs by increasing the general state sales/use tax from six to seven percent. If voters approve the ballot measure, then several “tie-barred” bills would take effect and generate new revenue for transportation. One such measure would eliminate the current flat excise tax on gas and diesel and establish a 14.9 percent wholesale tax on motor fuels. Vehicle registration fees and heavy truck fines would also be increased to provide funding for highway and street investment. Another provision guarantees that even if fuel prices decrease, the total revenues collected from the new funding package will not fall below 2013 spending levels. During the press conference, Governor Rick Snyder (R) explained the five principles that guided his discussions with legislative leaders on road funding: provide needed funding for roads and bridges; protect funding for schools, communities, public transit and rails; ensure transportation taxes go to transportation purposes; keep competitive prices at the pump; and provide tax relief for lower-income Michiganders. Gov. Snyder admitted that voters would have a relatively short time until deciding on the proposal, but stated the urgent need for road funding necessitated the quick time frame. Additionally, the governor noted Michigan’s “pothole season” between December and May might remind the public of the need for additional road funding.